The transition from digital to post-digital is the theme of the third annual Alpha-ville Festival, which takes place September 22-25 in several venues around London. They’ve booked everyone from artists to researchers, architects to coders who are exploring the frontiers of technology, philosophy, art, computing, and media. 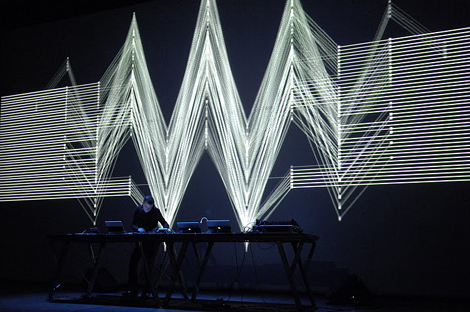 The festival includes live performances, often with AV components, from exciting audio artists including Andy Stott, Pantha Du Prince, Kangding Ray, and more, as well as film screenings, discussion panels, and workshops. Tickets can be purchased here. LWE has assembled a comprehensive guide to the festival and even want to help you see the Saturday show (ft. Matthew Dear, Jennifer Cardini, Kangding Ray, Max Cooper, Anstam, Emptyset, and Truss) for free. 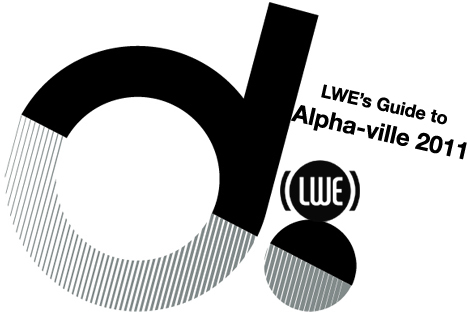 To win a pair of tickets for this event, simply send an email with “ALPHA-VILLE” in the subject line to contest[at]littlewhiteearbuds.com by September 21 at 10am CST. We’ll choose one winner at random from the entries and notify the person via email. Good luck and make sure to check out the guide below. Alpha-ville 2011 kicks off with live AV performances from Old Apparatus and Svarte Greiner, as well as a live PA by Jacaszek. Located in the heart of Hackney (on London Fields between Broadway Market and Mare Street), the Innovation Space in Netil House’s warehouse exhibition space features a curated exhibition of installations and interactive artworks, various workshops, discussions, cutting edge music performances, open labs, web experiments and much more. As the main festival hub, the Innovation Space will bring together the various strands explored in this year’s festival. Full schedule here. 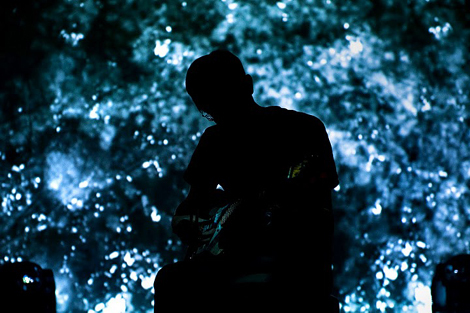 A two room showcase of AV and live PAs, featuring Pantha Du Prince, Jon Hopkins with Dan Tombs, and Illium Sphere in Room 1; Andy Stott and Max Cooper will play live in Room 2. “PressPausePlay,” a film about the digital culture, hopes and fears. 90 minutes. Unit 15 Bartlett School of Architecture showcase, a talk and screening of selected works of students from one of the most cutting edge design units at Bartlett School of Architecture (UCL). “Nobody Here” program curated by Paul Purgas, a selection of artists’ moving image exploring themes of culture, identity and ownership in the expanded digital age. These include Al + Al’s Eternal Youth; Daniel Swan’s Lux Daze; Daniel Lopatin (Oneohtrix Point Never)’s Nobody Here; and Paul B Davies’ Compression Study 4. A showcase of live AV sets, DJ sets, and live PAs from Kangding Ray, Emptyset, Anstam, Jennifer Cardini (DJ), Matthew Dear (DJ), and Truss (DJ). Alpha-ville Moving Image Competition screens the winners of the 2011 moving image competition in partnership with Vimeo, Little White Lies, Shooting People and Animate Projects. Alpha-ville has invited artists working across all genres including animation (2D, 3D, stop-frame, CGI, motion graphics, etc), fiction, documentary or experimental. With panelists from Ars Electronica, Warp Films, Little White Lies and Hackney Film Festival, this will be an opportunity to discover new talent. A practical introductory workshop for women wanting to learn creative ways of making and mixing electronic music for dance, mixed-media installations and moving image. 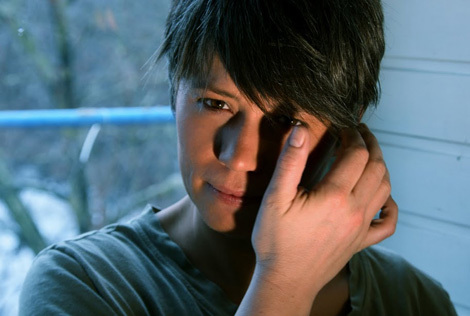 Features special guest Jennifer Cardini and instructor Jo Thomas. Space is limited to 15-20 participants. 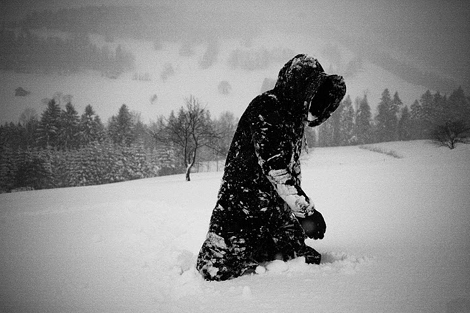 Alpha-ville sounds like a great festival, and what’s the best part of it is of course, Pantha du Prince :))))) Keep up the great work guys! congratulations alpha-ville team ! looks great !